The H&Co. Christmas Gift Guide — Harriman & Co. It's time. We're pulling our fluffy socks up, cosying up next to the fireplace and preparing the long-awaited celebration with family and friends. Out by St Martin's Square, the team at H&Co. are ensuring that everything's perfect for your inevitable trip into town to buy your loved ones' gifts - the candle's lit, the heaters are on, and the products this year are absolutely gorgeous. The highlights of our Christmas collection feature some wonderful pieces from Denmark, India and England. This multifunctional and minimalistic candle holder is made from all natural materials and will look beautiful whether you put it directly on a table or hang it from the ceiling in the removable leather strings. An instant classic you will use every December and throughout the year. Available in two sizes. Create your own winter wonderland with these beautiful Christmas tree ornaments. Made of solid brass / wood and set on a circular foot, the minimalist silhouette works equally well alone or when combined with our other Winterland designs. We think this handsome fellow is the perfect Christmas accessory. Handmade from wire and with a rustic finish, he will look fantastic wherever you put him. Treat your loved ones with our festive syrups and cookies. The Brilliant Biscuits come in a beautiful tin, and are a perfect treat that you can snap, dunk and nibble to your heart’s content. Made with free-range eggs and an all-butter recipe by a family business in West Yorkshire. 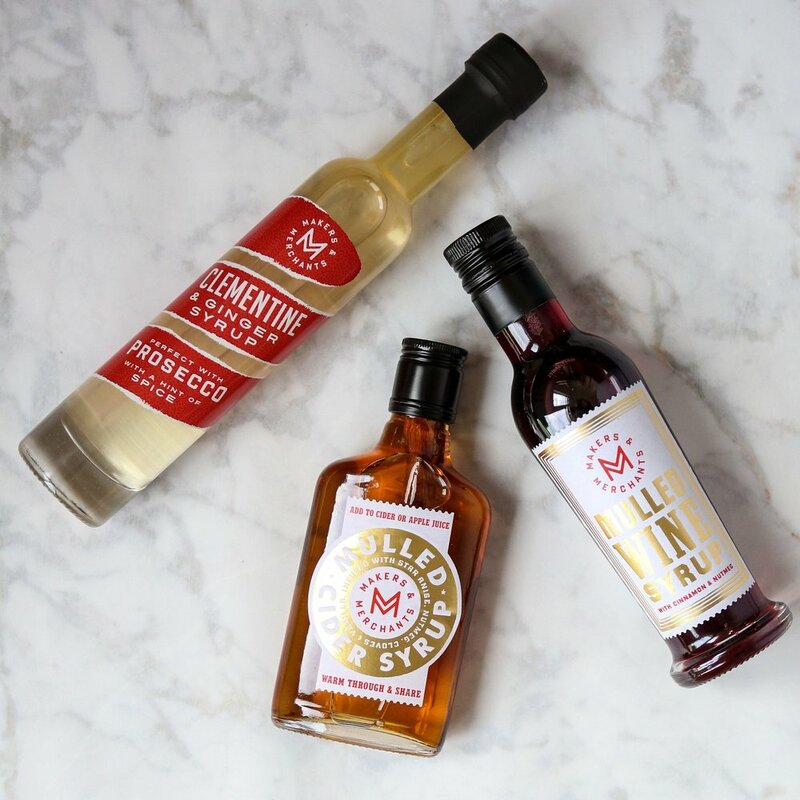 Our rich non-alcoholic syrup is so easy to use and is the perfect touch to any wine, cider or prosecco. Infused with festive spices, the sugar dissolves leaving a wonderfully warming smooth tipple with no residue or powdery aftertaste. This modern wire basket crowned with a beautiful smoked oak lid from Denmark makes a clever & considered gift.